Like her contemporary Charles Dickens, Elizabeth Gaskell wanted to expose the human consequences of the Industrial Revolution. Where Dickens sought “to take the rooftops off” in Dombey and Son to show the disease and suffering caused by the relentless pursuit of the capitalist enterprise, in North and South, Gaskell focused on the response of one individual when confronted by poverty and suffering. The result is a blend of genres – a combination of Bildungsroman with Victorian industrial novel. Gaskell’s protagonist Margaret Hale is jolted out of her pastoral background when her vicar father leaves the Church in a crisis of conscience and moves the family north to the mill town of Milton (a psuedonym for Manchester). Margaret’s physical journey to this new region brings about an awakening about the poverty and suffering experienced by the mill workers. Her preconceived ideas about industry and trade, born from her experience of Southern ways, are gradually relinquished as she deepens her friendship with some of the worker families. She begins with an acute sense of class divisions and distaste of anyone involved in commerce. If I live in a factory town, I must speak factory language when I want it.. Her transgression is complete when she intervenes in a violent scene where she intervenes in a violent scene between John Thornton and a mass of striking workers. In using her body to shield him she steps out of the conventional private and domestic sphere for women, turning herself into an object for public scrutiny. It’s in the stormy relationship with Thornton, a self made man, that the book shows Gaskell’s concept of how individual feeling fused with social concern can become an agent for change. Margaret refuses to accept his explanations of the relationship between owners and workers which dehumanises the latter by the reductive term “hands”. Under Margaret’s influence and the collapse of his business Thornton learns to treat his workers as individuals and to adopt a more paternalistic attitude towards their welfare. Their exchanges are at times somewhat tedious (Dickens himself was very uneasy with some of the discussions), as are some conversations with Bessy Higgins as she lies dying from consumption and contemplates the afterlife. I found the use of dialect hard to digest also. But those are minor points of criticism and don’t distract from my feeling that this was an engaging book. Why I read this: I included it in my Classics Club reading list on the basis that I’d read Cranford but didn’t care for it and felt there had to be something better by Gaskell. I wasn’t wrong…. Posted on October 27, 2012, in Book Reviews, Classics Club and tagged Bildungsroman, Elizabeth Gaskell, industrial novels. Bookmark the permalink. 15 Comments. Thank you for such a sweet comment. I’m sorry you didn’t care for this book, maybe one of her other novels would be more to your taste? I enjoyed the BBC version recently but haven’t read the book. I’m embarrassed as a librarian that I sometimes go for the book or TV versions — but there are just so many books to read! Thanks for taking the time to look at my blog 🙂 I could not agree more with your point about reading quickly. Reading for pleasure is so much better than reading towards a deadline. You have an interesting take on Margaret and Thornton’s relationship. I just read this book for my University course and have recently shared my thoughts on my blog too! Perfectly fine to skim. It’s a good idea really since you’ll want to make your own mind up. 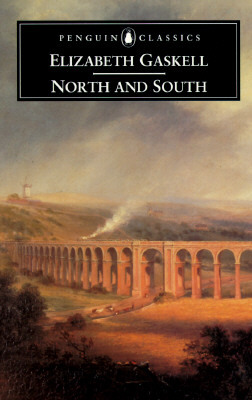 North and South was only my second Gaskell novel Alex – my first experience was Cranford which I found too light and frothy. I hear Wives and Daughters and Mary Barton are highly rated so I should read them at some point. This is one of Gaskell’s that I haven’t yet got round to and as I like a good classic for the winter months, I might well put that right this year. Have you read ‘Mary Barton’? That’s always been my favourite. I really liked reading your review…the way you’ve taken the characters out of the story to deal with them critically within the times and the social issues Gaskell was really dealing with. Personally, I very much liked the discussions that Hale had with Thornton and Bessy, because I felt they shed a lot of light on the times without sounding awkward or pretentious or preachy. Thank you Risa for your very kind remarks. The Hale/Thornton dialogues rang true to me, the Hale/Bessy ones less so. But it didn’t spoil the overall effect.